A Spice addict who caused trouble in a police station accused officers of setting up shop to sell the drug in Burnley, a court was told. Kieran McKillop had gone in because he was having money issues, was frustrated he had no cash and wanted help with his benefits. He refused to leave and started swearing and shouting. McKillop, who says he has had drug problems for a long time, fought back tears as he begged Burnley magistrates for assistance. 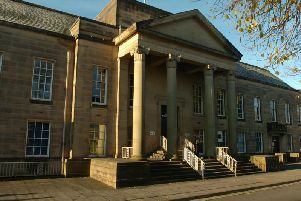 The defendant, of Irwell Street, Burnley, admitted using threatening, abusive or insulting words or behaviour, on April 1st, in breach of a conditional discharge imposed in March for criminal damage at his parents’ house. He was fined £50, with a £30 victim surcharge but because he has served time in custody the money was deemed paid. Miss Parveen Akhtar, prosecuting, told the court at about 11am, McKillop went to speak to the public enquiry assistant at Burnley police station about money issues. She alerted a colleague and the officer explained the defendant needed to speak to the appropriate agency. The defendant had recently been given a community order with a rehabilitation activity requirement after breaching a restraining order banning him going to his parents’ house. The solicitor continued: “That won’t yet have started, but it’s hoped the probation service can assist him in a number of areas. One is the misuse of Spice. Mr Williams said McKillop should be on employment and support allowance. He needed medical evidence, but had been “knocked off the list” by his doctor.